As it is half-term this week we decided to let the children stay up late, play some games and watch Harry Potter - Sophia is really into it at the moment. The children were super excited to play the games, especially when they realised we were playing kids vs parents and that the winner would receive a medal - the stakes were high in their eyes and they were determined to win. 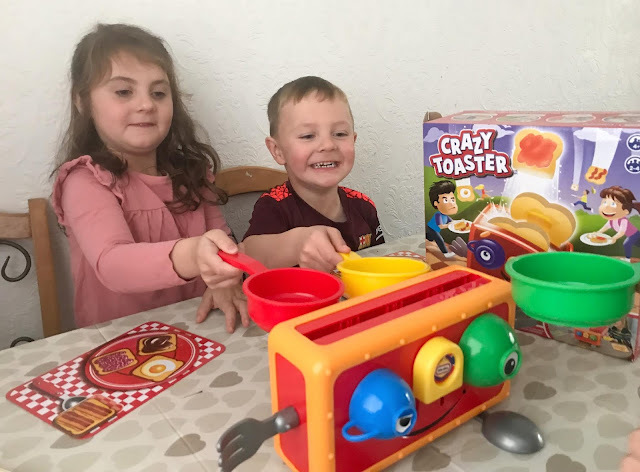 First up we decided to play Crazy Toaster which is a fun game for four players and was so much fun, the house was filled with cheers and laughter as we played along. The game was super quick and simple to set up and didn't need any batteries (always a plus point). The aim of the game is to catch the toast in your frying pan as it flys out of the toaster, you then need to try and match the toast to the ones showing on your plate. Whoever fills there plate with the correct bits of toast first wins, but be sure you don't catch a stinky fish one or you lose one of your toasts on your plate. My four and five-year-olds really enjoyed this game, as did there dad and even my 16-year-old took part playing with her siblings. Frying pans at the ready they all scrambled to try and catch the flying toast as it popped out the toaster. 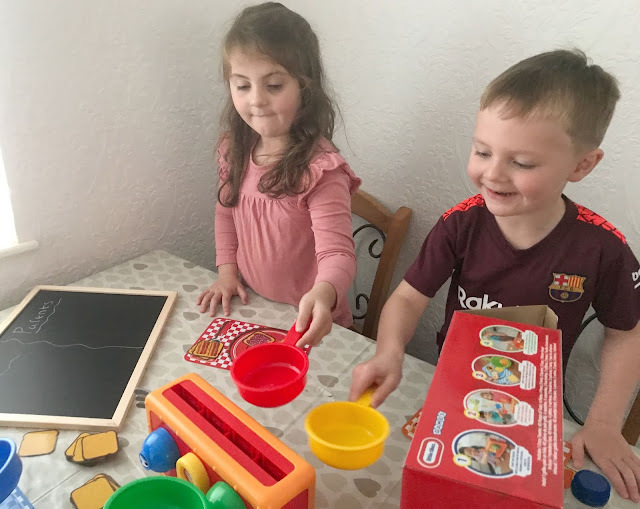 It was such a fun and simple family game to play that we all thoroughly enjoyed, I can see it becoming a firm favourite in our house. We played three games and the children were the champions, much to their delight. 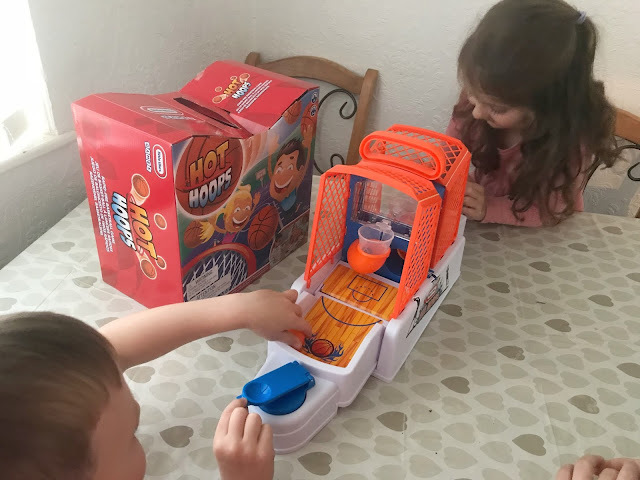 Next up we played Hot Hoops which is a game where you play head to head against another player, making it fast-paced and very competitive. You have to try and aim your mini basketball from the spring-loaded shooter into the hoop, whoever shoots their balls through the hoop first wins. Again this was a game the children really enjoyed playing, it was something different for them to try but they soon picked it up and had so much fun. Before we knew it over an hour of game playing had passed and it was time for a takeaway tea of pizzas which I sneakily ordered via Just Eat whilst everyone was busy playing. We tucked into slices of hot cheesy pizza before settling down with full tummies on the sofas to snuggle up and watch another Harry Potter film. We had such a wonderful evening, the games were so much fun for the whole family and it was lovely spending quality family time together at home. 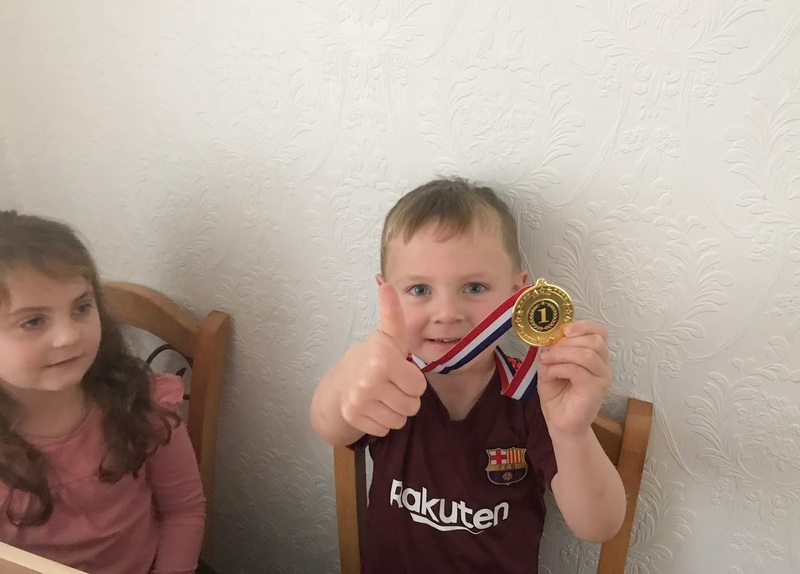 Of course, the children won the games battle and my 4-year-old Jacob has been wearing the medal with pride nonstop since he won it. They are already counting down to next weekend so we can play the games again and to see if they can beat us grown-ups again. Crazy Toaster is priced at £12.49 at Argos and Hot Hoops is priced at £19.99 and available from Argos and Amazon. Disclosure We were sent both these games and a just eat voucher for the purpose of this review, however, all opinions are my own. I love love love a family games night with my four! Our current favourites are UNO and Monopoly but I bet they'd love the toaster game: it looks like so much fun! Ahhh looks like you had so much fun these games look like they are a blast!! It sounds a great night in. I am sure your children enjoyed helping you with your job. These look fun. 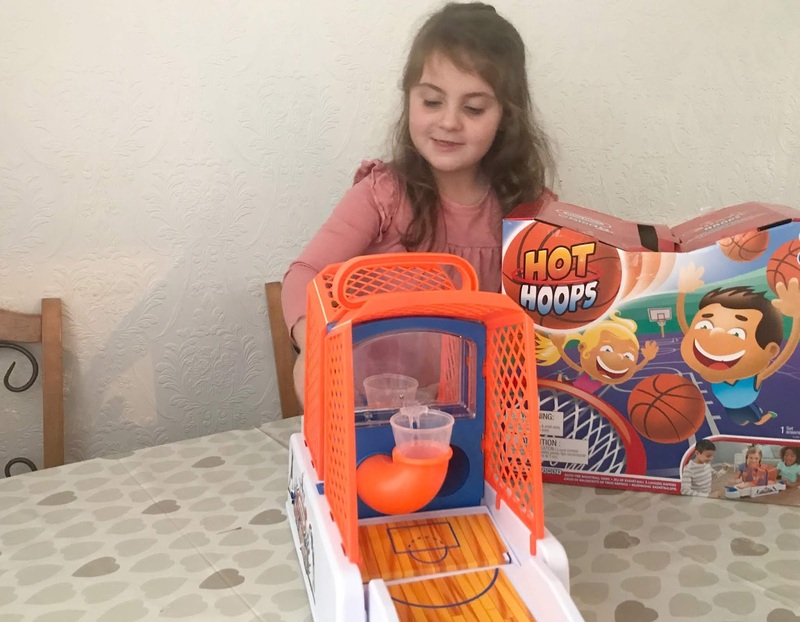 I think hot hoops would be the favourite in this house and it would be a very competitive game! We love a games night, always lots of fun! We love the toaster game, it makes my girls laugh a lot! Aww these sound amazing! We do family games night once a week and we love playing a mixture of kids games like this and also teaching our daughter a few bigger games (like Uno and backgammon). Crazy toaster sounds like such a giggle. I love the look of both games, these are the sort of games I love as they are so simple to play but just really good fun and make everyone smile. We've only just started playing board games with our son and I'm sure he'd absolutely love Crazy Toaster. He loves all things silly so this sounds right up his street! I love a good games evening! They look very happy with their new games, love the look of the toaster game!! The games look like fun. I will check them out for my niece and nephew. This looks really fun. Me and my kids loves playing games. Quality time is so important especially for kids.